Shooting the online commercial video for the new business Blown Avenue which is coming soon! The girls offer a fast service to make you look absolutely fabulous with half and hour. Get your nails done, make up and an amazing blow dry hair style and be ready to go for a glamourous night out! We shot five scenes for this vial video that reflect some of the different styles which Blown Avenue can create on your beautiful self! A fabulous red carpet ball gown scene, the female boss sleek and sophisticated poker room, the pearly queen vintage tea party, Jamaican club night, and urban street style are the genres of the video. The scenes were amazing styled with fabulous one of a kind dresses and vintage pieces and amazing jewellery which complemented the glamour of the Blown Avenue looks. Here are some images from behind the scenes of shooting the Jamaican club night which took place in the basement of a construction warehouse and fashioned to look like a night club. 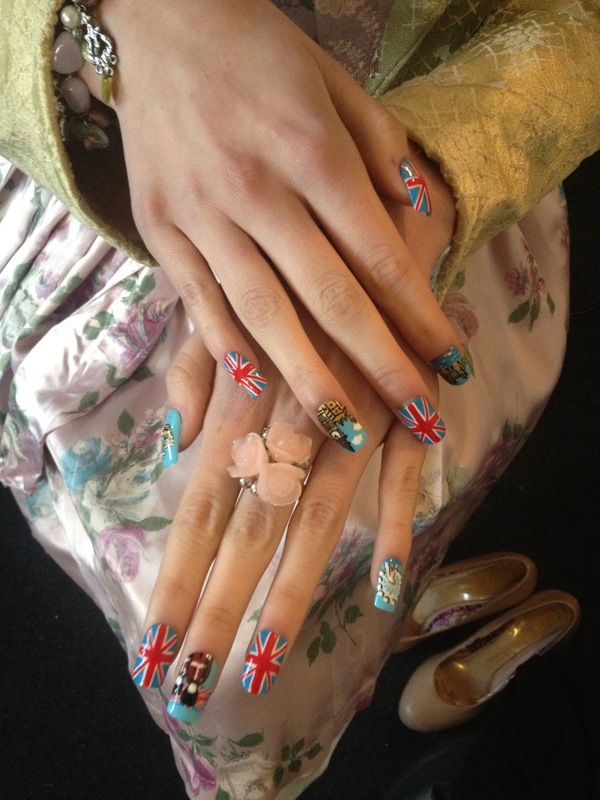 On the top left is an example of the amazing nail art for the pearly queen vintage tea party scene which is offered in the Blown Avenue service.